Prepaid Gratuities: Which River Companies Include Them in the Fare? 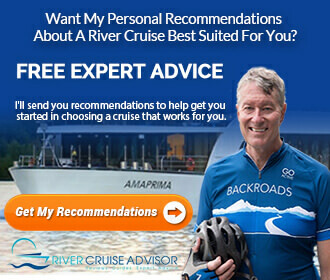 You are here: Home / Cruise Companies / AMAWATERWAYS / Prepaid Gratuities: Which River Cruise Companies Include Them in the Fare? 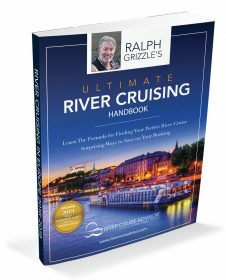 Prepaid Gratuities: Which River Cruise Companies Include Them in the Fare? Prepaid gratuities may or may not be bundled with an all-inclusive river cruise package. But did you know there are varying degrees of gratuities? What probably comes to mind for most people is the onboard tipping to the cruise staff and cruise director. However, there are several other instances when tipping is appropriate and is also welcomed. Other types of gratuities are to tour guides, motor coach drivers and hotel and restaurant staff either before or after your cruise. Tour Guide at St. Peter’s Square in Italy. Photo Courtesy of Wikipedia. Most river cruise companies address gratuities in their Terms and Conditions or in the FAQs section of their websites. Companies will either state what gratuities are included in the package, or they may make recommendations to serve as a guideline for guests. In general this is considered an optional fee and is left to the discretion of each guest. If gratuities are not included in the package, you have the option to prepay them or to pay them at the end of your cruise. This only applies to the cruise staff, though. Other tipping onshore will need to be paid out of pocket. How do the different river cruise companies stack up against each other? Listed below is a comparison of each company’s policy with regard to gratuities. Prepaid gratuities for the room attendant, waiter, assistant waiter and bar staff are part of the package. No mention is made of the cruise director, tour guides, motor coach drivers, hotel or restaurant staff when you have accommodations before or after your cruise. All tips are included in the package. 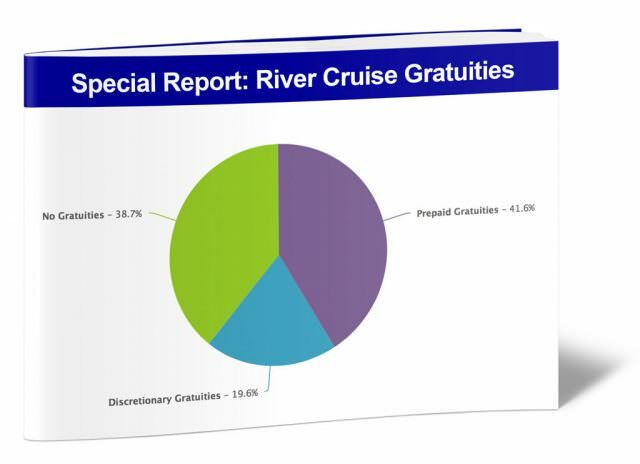 While the company does not specifically list all gratuity types, Emerald Waterways does state on its website that this inclusion will “save you up to $675 per couple on a 15-day cruise.” Based on industry standards, this most likely includes tips to the cruise staff, cruise director, tour guides and motor coach drivers. Gratuities to local guides and motor coach drivers are included. There is no mention of tips to cruise staff or the cruise director. All gratuities onboard and onshore are included in all river cruise packages. This is one of the most inclusive brands. All gratuities are included for cruise staff, cruise director, tour guides, motor coach drivers; and at the hotel, luggage handling, bellmen, doormen and dining room servers. Tauck is another one of the most inclusive brands. All gratuities onboard and onshore are included. Uniworld does not list in detail which gratuities are paid. However, a $23 gratuity per person per day is paid for each guest. This company does not break down its recommended gratuities but rather bases gratuities on a total amount per person for the length of the cruise. For a 7-night cruise, American Cruise Lines suggests a gratuity in the amount of $125 per person for the cruise staff and cruise director. No guideline is given for tipping to tour guides, motor coach drivers or hotel staff. While most companies state that tipping is optional, Amercian Queen Steamboat Company will automatically charge your onboard account for gratuities in the amount of $16.50 per person per day if they are not prepaid. Gratuities are not included for the cruise portion of your trip. However, Avalon Waterways does pay gratuities for the land portion of your trip. The company takes care of tipping the wait staff at meals that are included in the itinerary, hospitality staff at hotels if purchased through Avalon Waterways, porterage at hotels for one suitcase per person. The company does recommend the following amounts for gratuities (per person per day): $19.67 for cruise staff and $4.92 for cruise director. With regard to gratuities, CroisiEurope recommends a much smaller amount than other cruise lines – $5.89 to $11.78 per person per day. It’s important to note that any tips received are shared equally among crew members rather than specifically to the staff that personally assists or serves you. One advantage to booking an all-inclusive cruise is knowing that you have already paid upfront for most of your trip. It certainly simplifies travel. That’s perhaps the biggest benefit of gratuities being included in the package. With regard to actual savings (or the perception of it), it amounts to about $300 per stateroom paid to the cruise staff and cruise director for a 7-night cruise. If you take onshore gratuities – tour director and motor coach driver – into consideration, the savings amount is an average of about $60 per couple. So for travelers who choose a package that does not include gratuities, each person can expect to pay an additional $150 to $175 for gratuities based on a 7-night cruise. See our 2015 update post on tipping guidelines.